Photo provided by Leaha Smith. 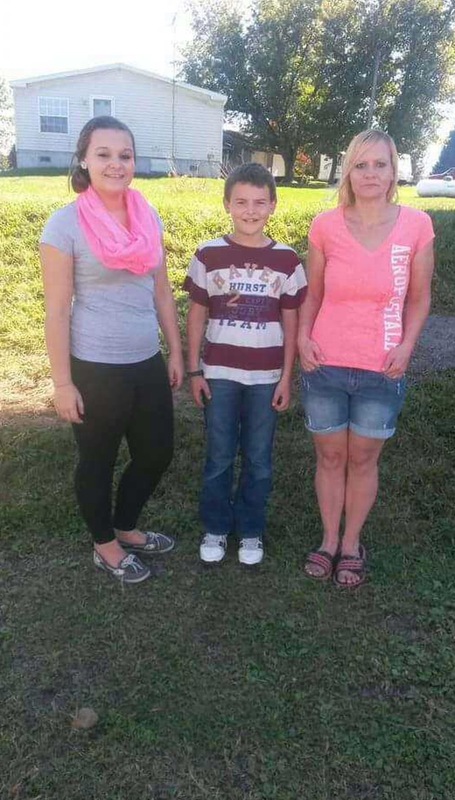 Amber Neivel (right) pictured with her two children, Lexy and Dylan Short. FULTON, NY – The shocking news of a dead body found in the Oswego River shook the local community recently. Perhaps none were more shocked, though, than the man who stumbled upon the finding. On Sunday (April 9) Andre Rose of Fulton decided to take advantage of one of the first warm weather days of the year by taking a stroll around the city with his young daughter, sister, and their friend. What began as a silly, joyful adventure walk by the river quickly turned to panic and shock. “We were near the lock on Broadway bridge walking near the library when we looked down. We were looking at a bunch of dead fish,” he started. Suddenly, he noticed something that didn’t look right. “A few feet from the dead fish, I saw hair and a body bobbing in the water with the waves from the current,” Rose said. In disbelief and desperately hoping to be wrong, he asked his daughter if she too thought she saw hair in the water. When the two realized just what they were looking at, panic and fear set in. “I told the girls to run because I was scared so they ran and I called 911. I told them there was a body in the water and they sent Fulton PD and rescue teams which responded within minutes,” he said. Fulton PD released information regarding the body later that day. Although unsure of the victim’s identity at the time, police provided a description of the body and asked for input from anyone who may have any information. The body was transported to the Onondaga County Medical Examiner’s Office to help identify and determine a cause of death as the investigation remained ongoing. The woman has now been identified by Fulton Police as 39-year-old Amber Neivel from New Haven, NY. The Fulton Police Department is asking anyone who may have seen or had contact with Neivel between the afternoon hours of Saturday April 8 and Sunday April 9, to contact the Fulton Police Department. Neivel is 5’ 2” tall, and weighs approximately 160 pounds. She has blonde hair, hazel eyes, and was last wearing a tan skirt, black and white striped shirt and a black peacoat style jacket. If you saw Neivel or had contact with Neivel between the dates listed above, please contact the Fulton Police Department at (315)598-4504. Rose has been shaken up since finding the body as he was awaiting the announcement of the woman’s identity. He now hopes her family and loved ones can be at peace, he said. The death of Amber Neivel (right) has been ruled suspicious. Her sister (Leaha Smith) said this picture of Neivel with her children shows her as a mother and someone who was loved. What I really think the police need to do is contact some of the local bars. It’s as if she was dressed for a night out. Just a thought on the matter.